HATC members are committed to building guest loyalty by making every guest experience special and memorable. Each year HATC recognizes hoteliers that have provided a superior experience for their guests. Awards are given to properties that represent the highest levels of service, quality and growth. 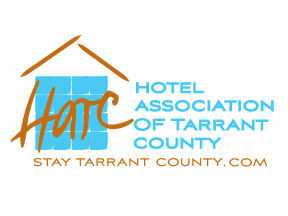 The HATC awards luncheon and ceremony is accepted as the pinnacle of achievement for Tarrant County hoteliers. These awards are established as a celebration of ultimate achievement in service excellence among our peers. It is truly about rewarding and congratulating HATC members that have excelled beyond the normal call of duty. Please submit your nomination by completing this survey no later than Friday, November 9, 2018. Awards will be presented at the annual HATC December Holiday Awards luncheon. All nominees are encouraged to attend the awards luncheon. * 1. Please tell us about you! In case we have any questions about your nomination please provide us with your contact information in the boxes below.